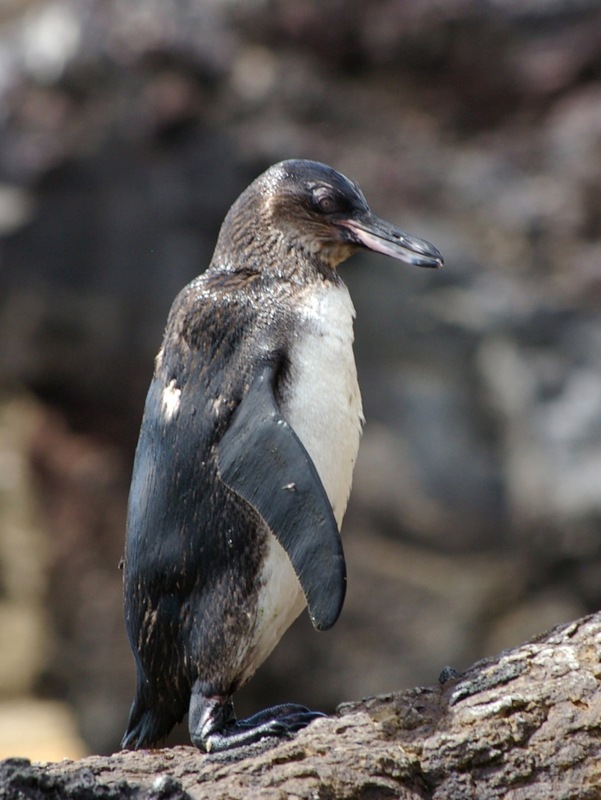 The Galapagos penguin (Spheniscus mendiculus) is, implausibly, found on the equator. 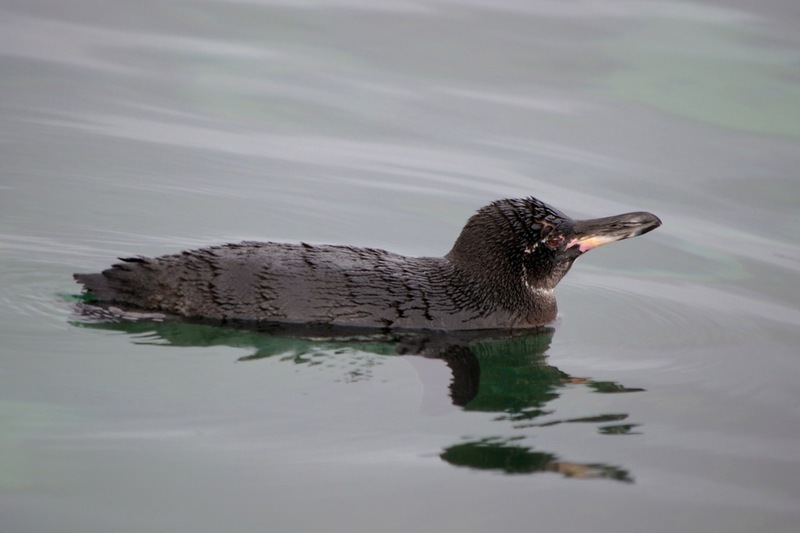 Superficially similar, the Galapagos flightless cormorant (Phalacrocorax harrisi) has vestigial wings. 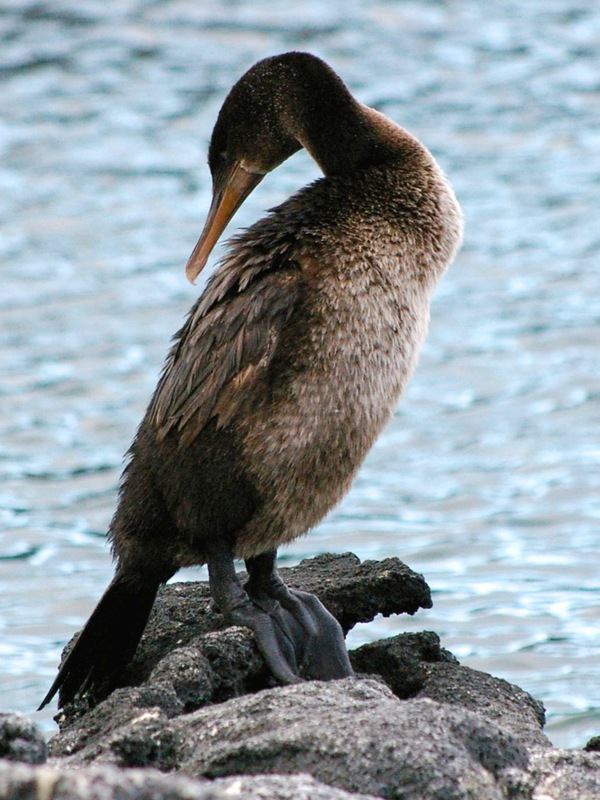 Flightless forms are, of course, common on islands. 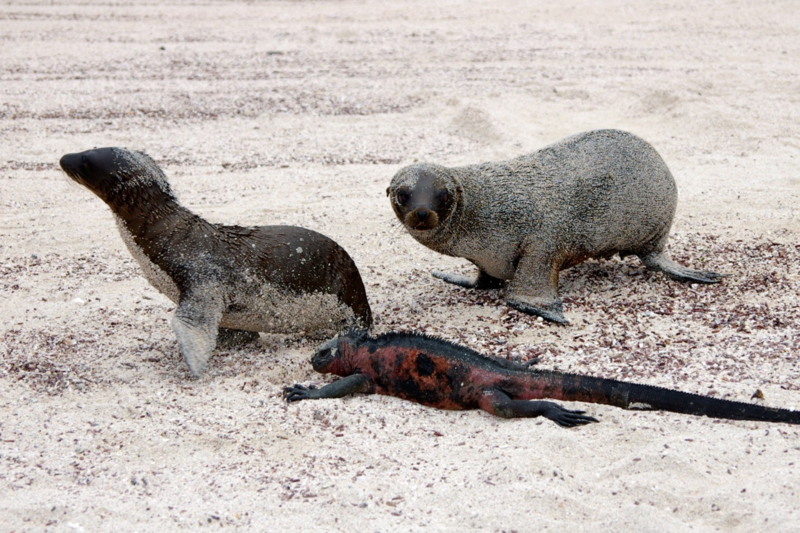 And a juxtaposition of two tetrapods that have made the transition back to a partially aquatic habit; some sea lion pups as above and a marine iguana (Amblyrhynchus cristatus). A mockingbird (Mimus parvulus), Espanola Island variety. 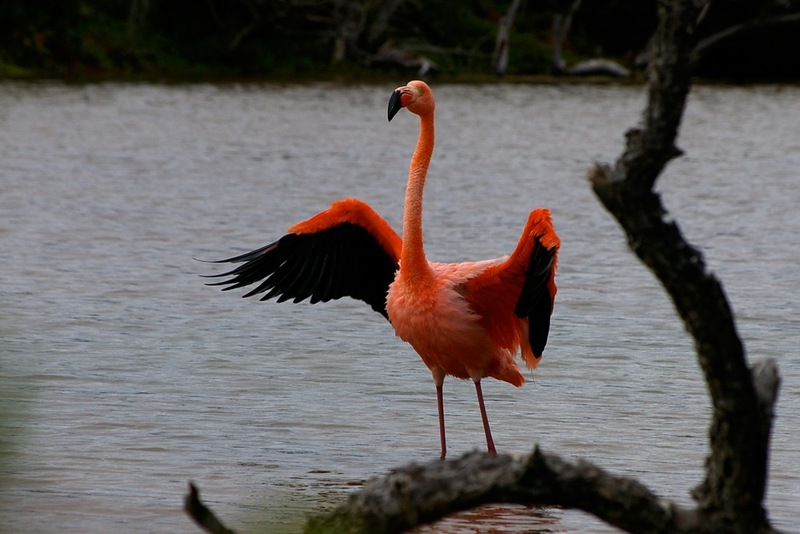 We saw a small number of flamingos (Phoenicopterus ruber). 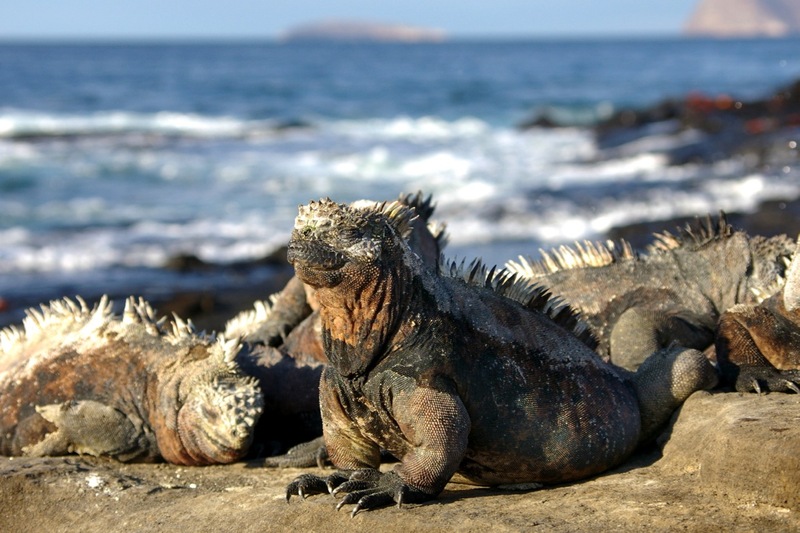 A couple of marine iguanas (Amblyrhynchus cristatus). They are quite variable in color. 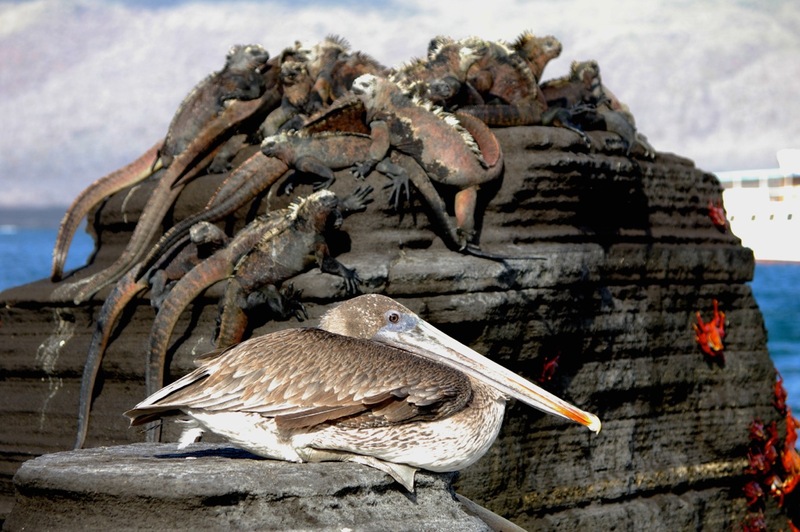 A brown pelican (Pelecanus occidentalis) with a pile of marine iguanas behind and some Sally lightfoot crabs (Grapsus grapsus) off to the side. 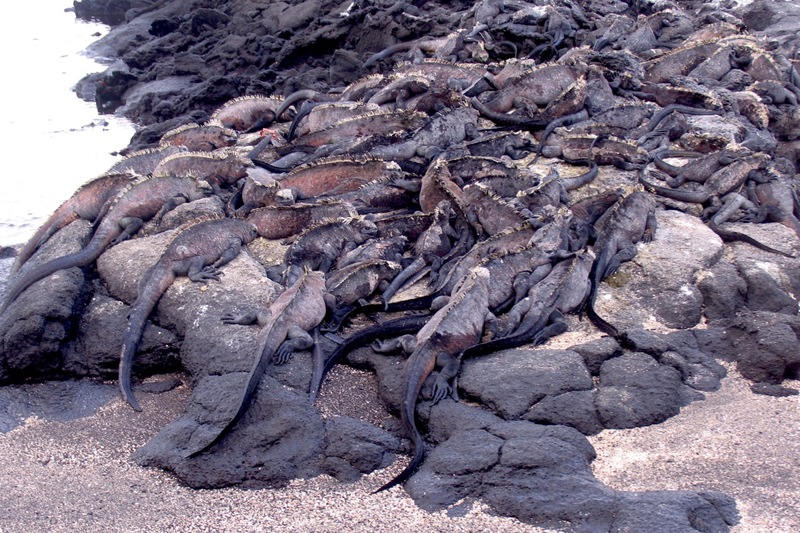 Clusters of marine iguanas can be quite impressive. This entry was written by whyevolutionistrue and posted on June 10, 2018 at 7:45 am and filed under birds, mammals, photography, reptiles. Bookmark the permalink. Follow any comments here with the RSS feed for this post. Both comments and trackbacks are currently closed. What’s with the gold colour? Is that reflected light? It looks like it’s lit internally. Or is this some weird colour illusion like that dress a few years back and only some of us are seeing a green shell as gold? I think algae growing on the shell plays a role, but also sunlight striking at a particular angle. I have pictures from around Maui with quite similar effects, so I don’t think it is terribly rare. 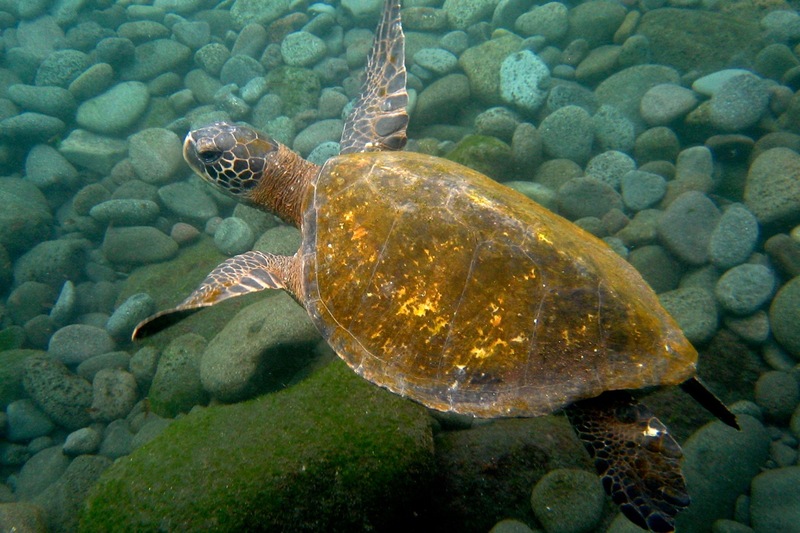 I’ll only get to Galápagos in my next life I suppose – meanwhile I really enjoy the photos and captions. Thank you for sharing. An excellent reason to wish for another life! But, alas. These are great photos. I especially like the last two because of the composition, but they’re all very interesting. Wonderful stuff! I enjoyed this. Nice set of photos. I too wish I could have made it to the Galapagos in this life. 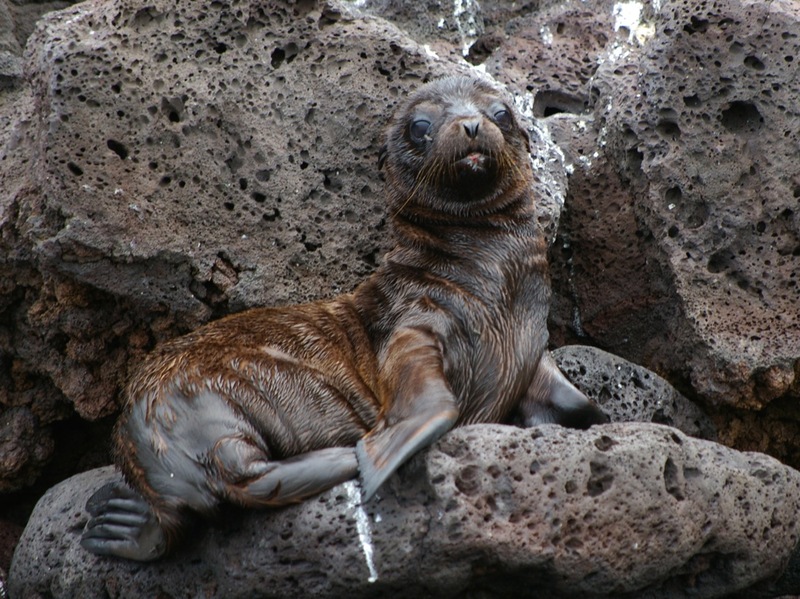 I never get tired of Galapagos photos. These are top-notch. Thanks for the submission. Great pictures Joe. 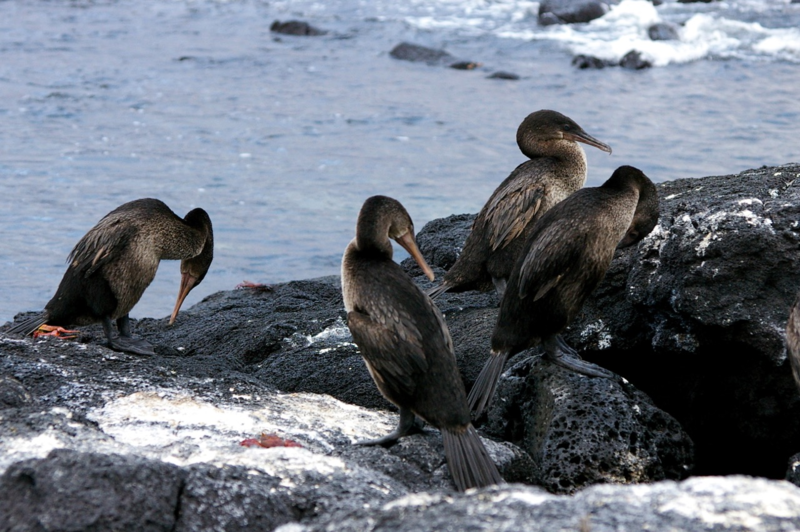 I think you and I have similar tastes–Tanzania, Galapagos, Monterey Bay. I have not made it to Australia yet, but it is on the list. 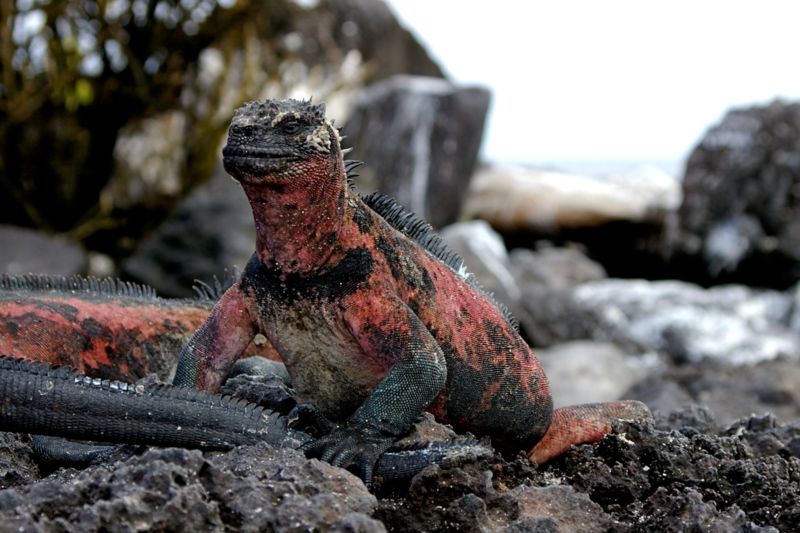 Did you notice any relation to Iguana coloring and which island you were on? Fantastic shots Joe. Thank you! When the survey voyage of HMS Beagle visited the Galápagos Islands in September to October 1835, the naturalist Charles Darwin noticed that the mockingbirds Mimus thenca differed from island to island, and were closely allied in appearance to mockingbirds on the South American mainland. Nearly a year later when writing up his notes on the return voyage he speculated that this, together with what he had been told about Galápagos tortoises, could undermine the doctrine of stability of species. This was his first recorded expression of his doubts about species being immutable, which led to his being convinced about the transmutation of species and hence evolution.